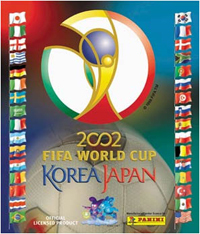 Details: The Sticker Collection "FIFA World Cup Korea/Japan™" includes 576 stickers, each one measures mm 49x65. The album has 64 pages. Each packet contains 5 stickers.